Pair of white silk shoes with 3" heels, pointed toes, overlapping instep straps. Buckles or ornaments for the straps are missing. 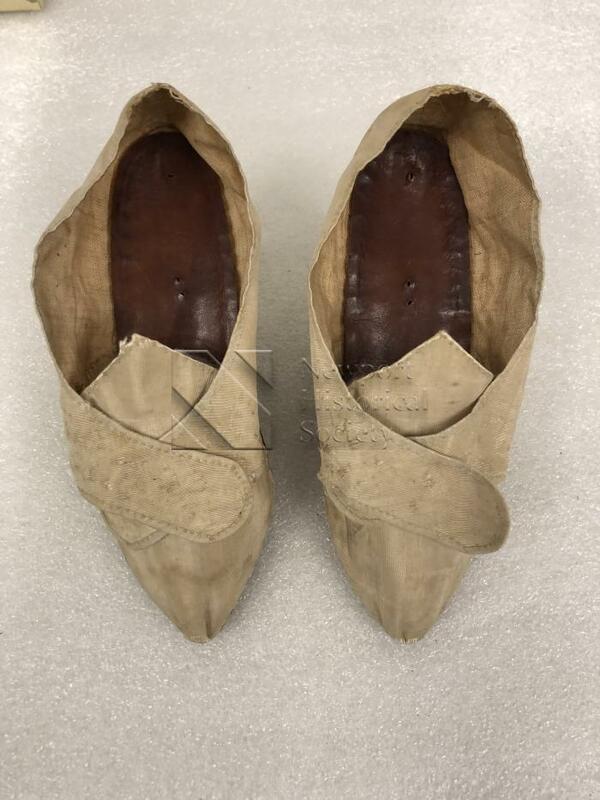 Paper found with shoes reads, "Slippers worn by Sarah Olney, wife of Colonel Jeremiah Olney, Revolutionary Army, when she opened a ball given in honor of Count Rochambeau in Newport in 1777. Sarah was the daughter of Gov. Nicholas Cooke, Gov. of RI"